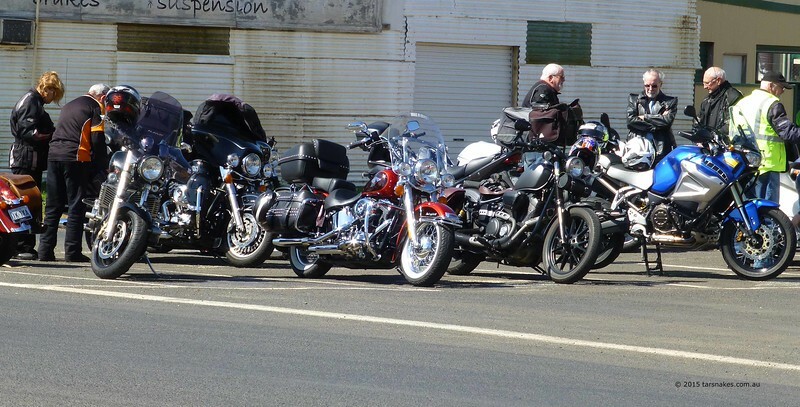 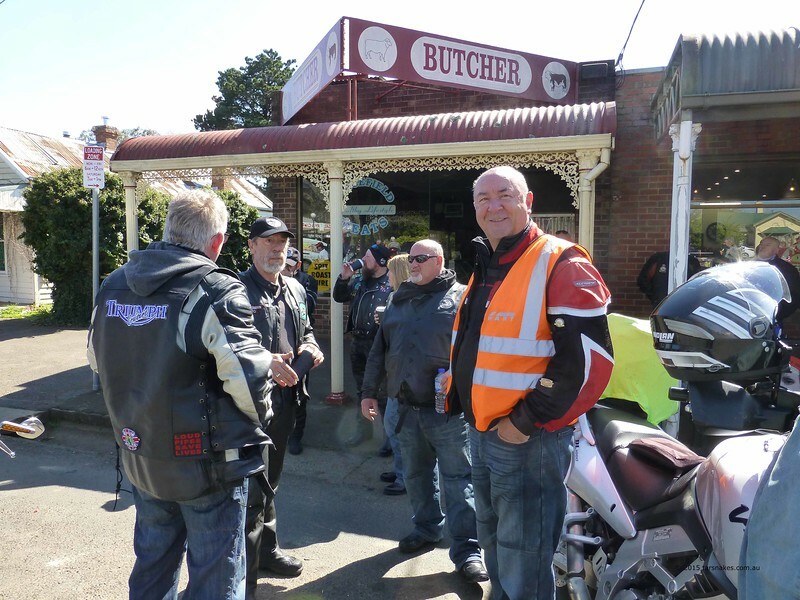 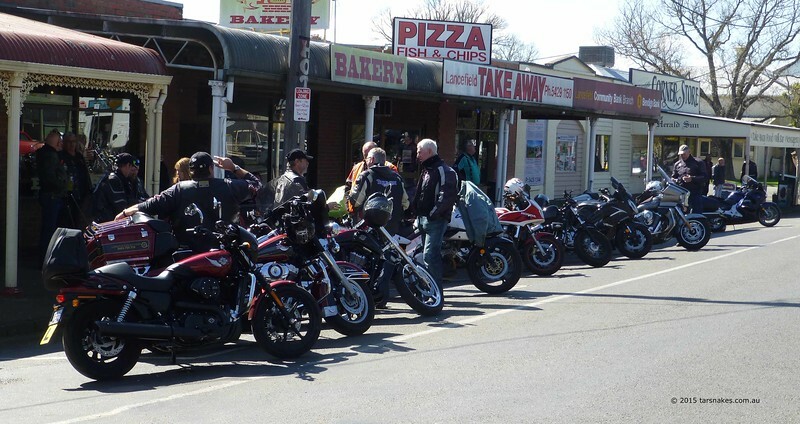 A good turn out of the Geelong branch met up with the Melbourne, Whittlesea and Echuca branches in Lancefield for a group ride to Yea. 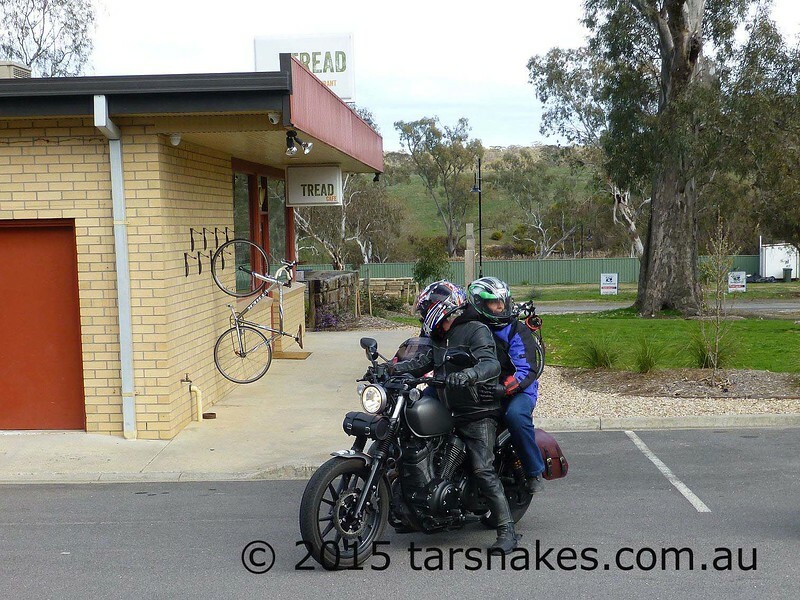 Gentle did a brilliant job of navigating down scenic back roads that most of us had never been on before. 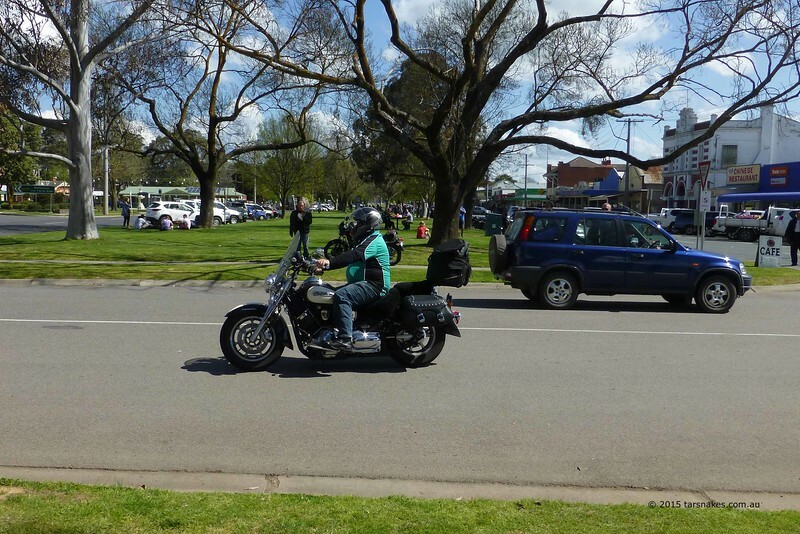 After some early fog in Geelong, it became a perfect Spring day with the temp hovering around 18C – 20C for much of the ride and not a cloud in the sky. 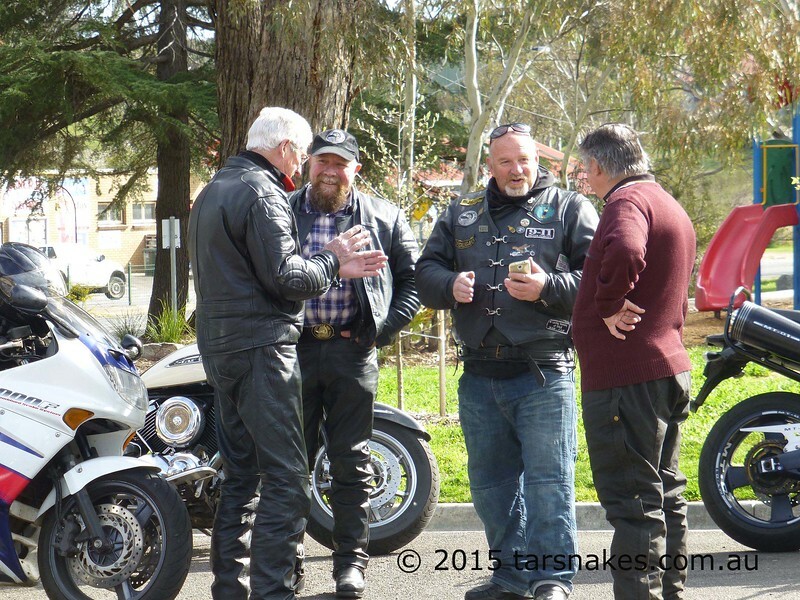 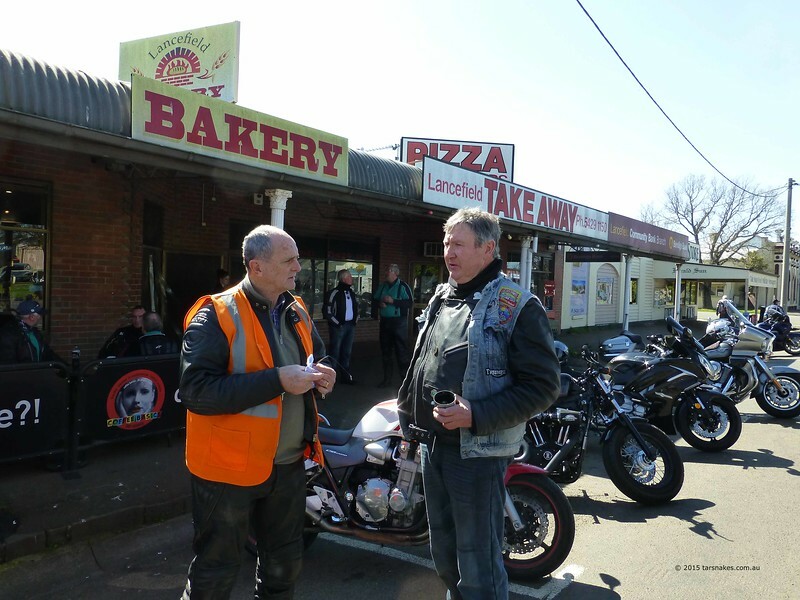 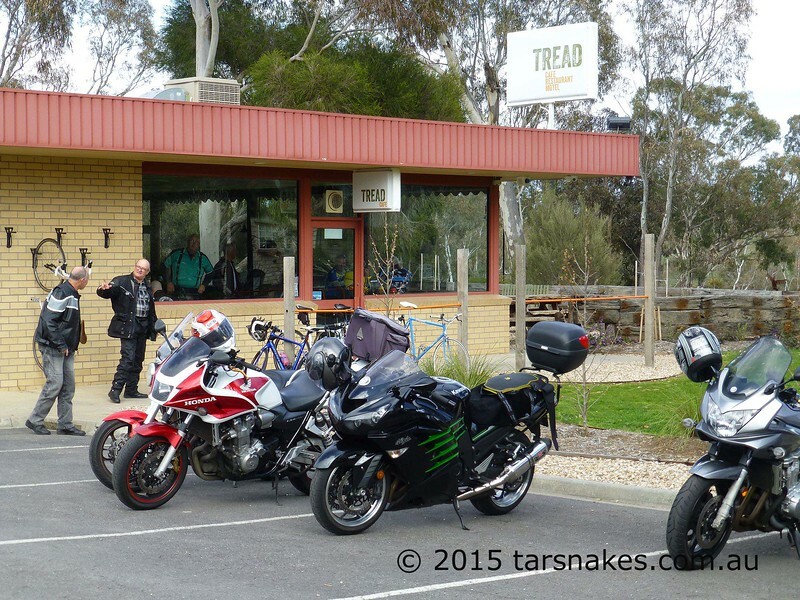 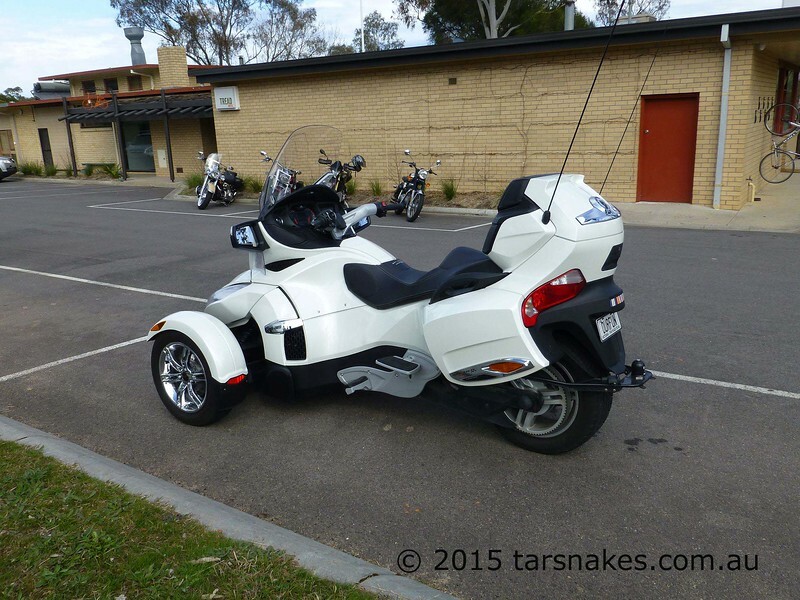 This months meeting was at the Tread Cafe in Harcourt. 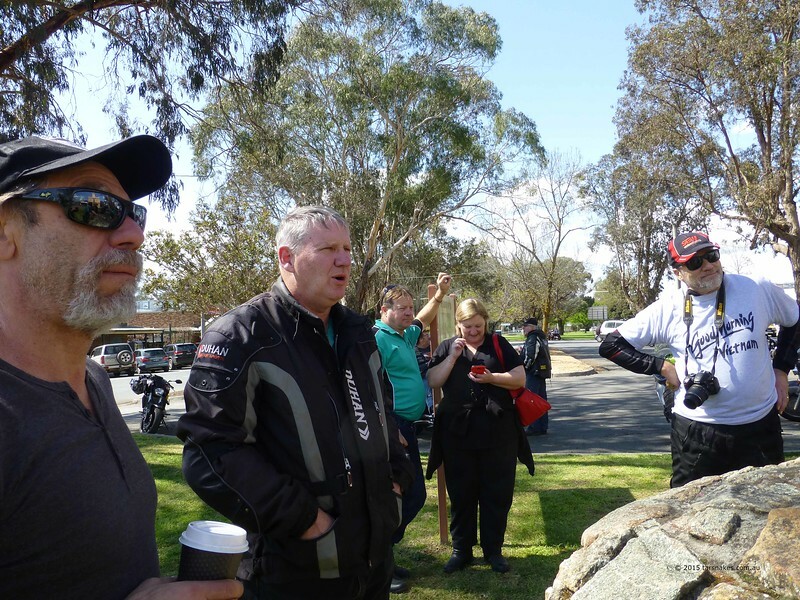 Around 26 people attended and at last Spring is here. 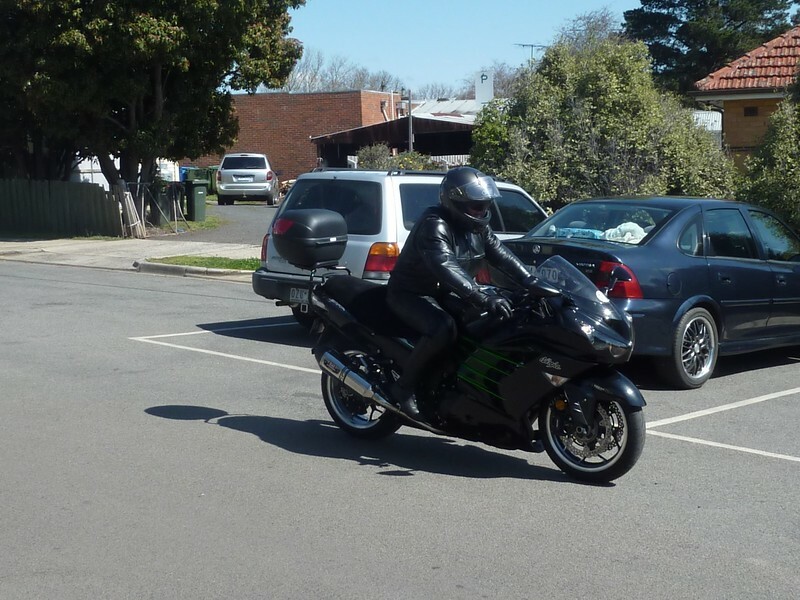 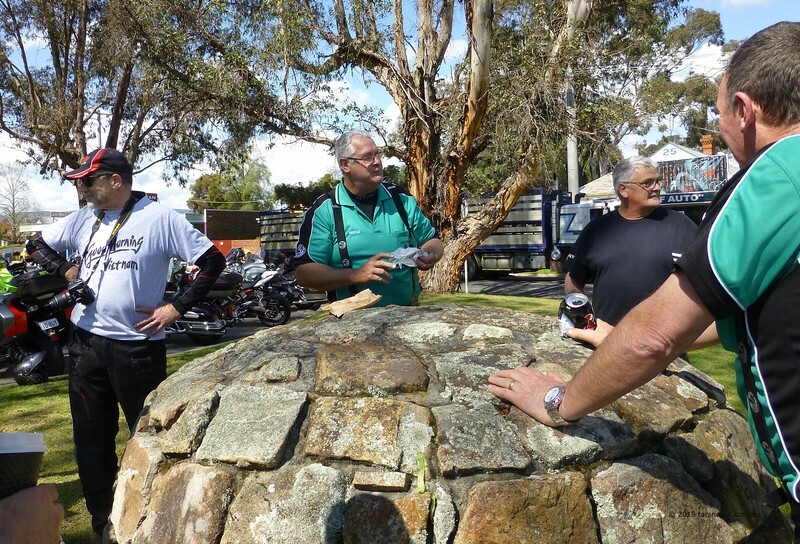 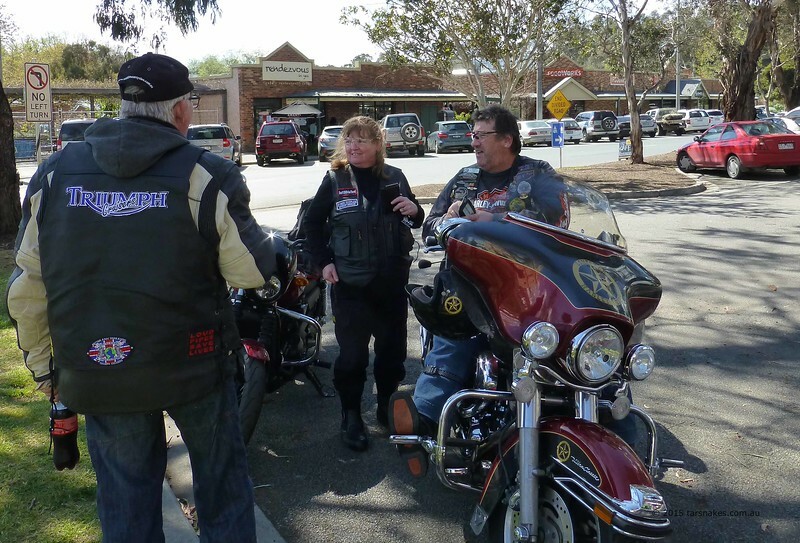 Nine Geelong riders attended, with four going on to Echuca for the weekend and the rest of us taking the scenic route home via Malmsbury, Trentham and Greendale. 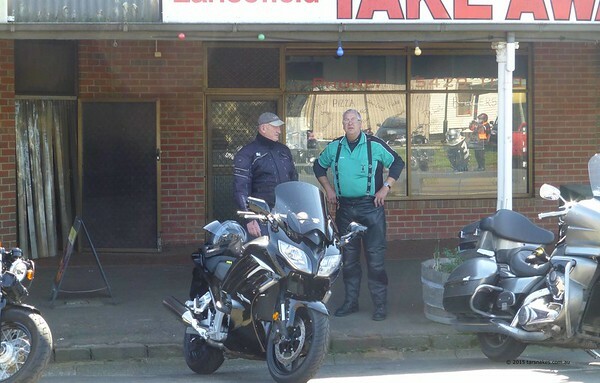 Thanks to ‘Gentle’ for leading the way. 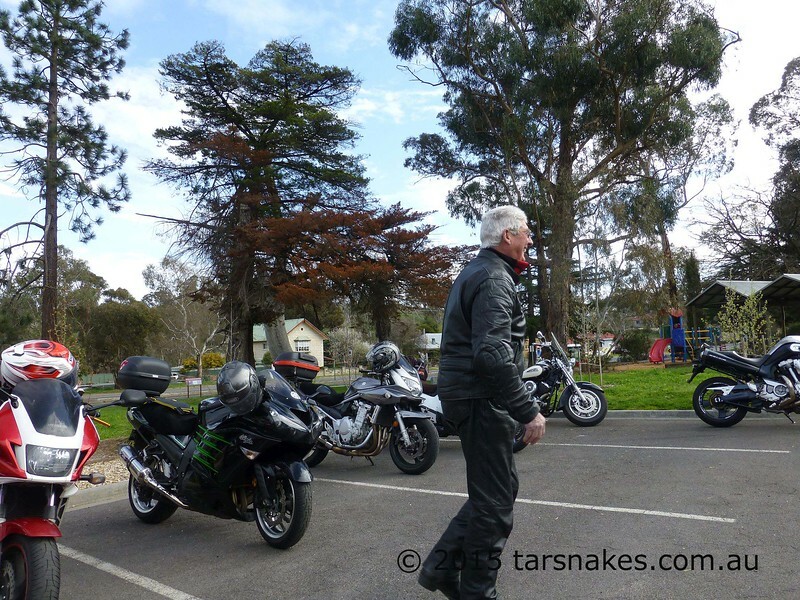 The scenery around Harcourt is stunning, with lots of orchards and vineyards and great views from the nearby Mt Alexander.